Engineering Insurance Colorado. Engineers use higher mathematics, economics, biological, and physical sciences to design airports, bridges, buildings, highways, products, and railroads. The engineer is hired by a client and may conduct research, prepare prototypes, or design specifications to meet the client's requirements. They may test process failures to identify problems and propose solutions. 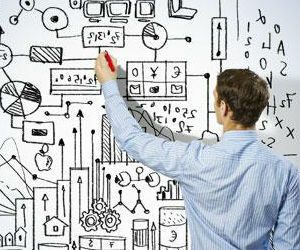 Engineers may specialize in chemical, civil, electrical, industrial, or mechanical design. A engineering insurance Colorado business owner's policy can provide you with protection if you find yourself on the receiving end of a lawsuit. Engineering insurance Colorado protects your firm from lawsuits with rates as low as $27/mo. Get a fast quote and your certificate of insurance now. Business income insurance. Most engineering insurance Colorado BOP policies come standard with a business income rider. This type of policy covers the loss of your business' income when you are unable to serve the clientele you normally serve due to claims of covered damage to your property. Valuable papers coverage for engineering businesses. The types of records your business creates and subsequently stores are sensitive. Site tests, minutes of meetings, change orders, and so forth, are all valuable to the operation of your business. Should water, fire, or additional perils damage these records, then you can file a claim under this type of engineering insurance Colorado policy rider to recoup the research costs to recover the lost information. 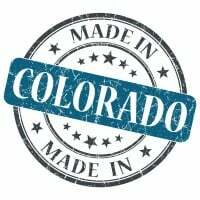 Request a free Engineering Insurance Colorado quote in Akron, Alamosa, Arvada, Aspen, Ault, Aurora, Avon, Basalt, Bayfield, Bennett, Berthoud, Boulder, Breckenridge, Brighton, Broomfield, Brush, Buena Vista, Burlington, Carbondale, Castle Pines North, Castle Rock, Cañon City, Cedaredge, Centennial, Center, Cherry Hills Village, Colorado Springs, Columbine Valley, Commerce City, Cortez, Craig, Crested Butte, Cripple Creek, Dacono, Del Norte, Delta, Denver, Durango, Eagle, Eaton, Edgewater, Elizabeth, Englewood, Erie, Estes Park, Evans, Federal Heights, Firestone, Florence, Fort Collins, Fort Lupton, Fort Morgan, Fountain, Fowler, Fraser, Frederick, Frisco, Fruita, Georgetown, Gilcrest, Glendale, Glenwood Springs, Golden, Granby, Grand Junction, Greeley, Greenwood Village, Gunnison, Gypsum, Hayden, Holyoke, Hudson, Idaho Springs, Johnstown, Julesburg, Keenesburg, Kersey, Kremmling, La Junta, La Salle, Lafayette, Lakewood, Lamar, Las Animas, Leadville, Limon, Littleton, Lochbuie, Lone Tree, Longmont, Louisville, Loveland, Lyons, Mancos, Manitou Springs, Mead, Meeker, Milliken, Minturn, Monte Vista, Montrose, Monument, Mountain Village, Nederland, New Castle, Northglenn, Olathe, Orchard City, Ordway, Ouray, Pagosa Springs, Palisade, Palmer Lake, Paonia, Parachute, Parker, Platteville, Pueblo, Rangely, Rifle, Rocky Ford, Salida, Severance, Sheridan, Silt, Silverthorne, Snowmass Village, Springfield, Steamboat Springs, Sterling, Superior, Telluride, Thornton, Trinidad, Vail, Walsenburg, Wellington, Westminster, Wheat Ridge, Windsor, Woodland Park, Wray, Yuma and all other cities in CO - The Centennial State.